The iPhone is known world over as the real catalyst towards the global smartphone expansion. After the very first iPhone was released, all its competition aimed for was to beat the iPhone and to this day that statement remains mostly true even though the number of Android powered devices outnumber Apple’s count. The past two iterations of the iPhone were evolutionary devices, not revolutionary. They focused on building up iOS rather than the actual hardware although the display saw a slight increase in size. In essence though, it could be called an iPhone 4 on steroids which by any means is absolutely fine given the 4’s incredible reputation. So without further ado, let’s dig into what we know (or think we know) about the iPhone 6! What comes after iPhone 5s? iPhone 6? Well, even though it seems obvious enough, there was a lot of speculation that the next iPhone would be called “the new iPhone” or the “iPhone Air”. This movement was fuelled by the fact that Apple broke the traditional naming convention of its iPad line which led people to believe the same trend would follow for the iPhone. As time weans on, this particular speculation has seemingly died down and most people believe the new iPhone will be named the iPhone 6. 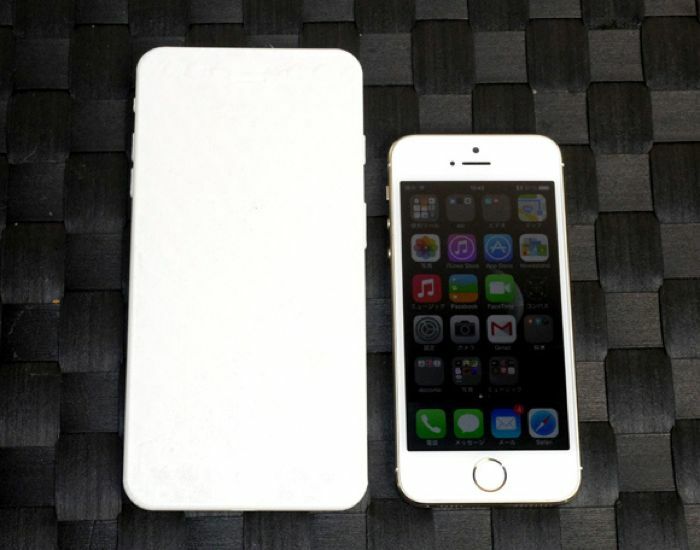 The design of the iPhone 6 is something that the tech community believes has been more or less confirmed. Apple looks to be making an overhaul in terms as the overall design, moving away from the flat sides with chamfered edges to a device with rounded or tapered edges that melt into the back of the phone. This was initially discovered when Chinese case manufacturers leaked the shape and dimensions of the alleged device. This was soon followed by numerous leaks which all coincided with the initially leaked dimensions and form factor. The design was even further explored as dummy units were made available via multiple online outlets as well as the blueprints to 3D print a mock up model. Throughout last month, we got to see a steady series of leaks showing multiple parts from the assembly line and ultimately what looked like an almost complete device. There was at one point hype about an illuminated Apple logo on the back but those were quickly shot down by following leaks. For now, the new iPhone looks to share design elements from the iPad line such as the speaker grill and the volume and power buttons. Apple last year announced two iPhones simultaneously for the first time ever, though reception of the lower end 5c was below expectations. This year, two iPhones look to be up for grabs only this time around, their major difference will be screen size. Although it was a bit in the dark initially, it is more or less confirmed that Apple is going to increase the size of the iPhone display. (It’s about time too!). The smaller of the two models is slated to be 4.7 inches whereas the larger one would be 5.5 inches to compete in the growing phablet market. 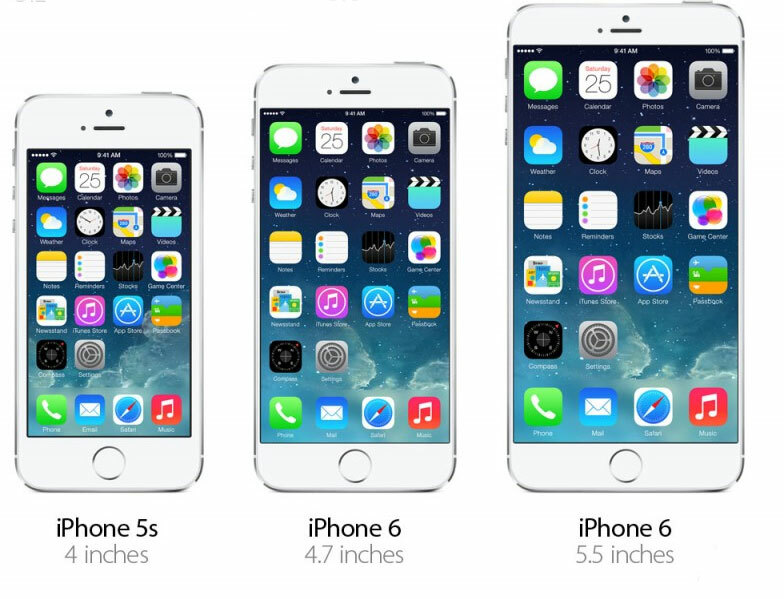 Sadly, if mockups and leaked images are to be believed, the new iPhones do not sport the thinnest of bezels. The most hyped rumour for the iPhone 6 is about the use of sapphire glass. Sapphire glass is basically a form of glass modified with artificial sapphire crystals to increase strength, flexibility and resistance to scratches. This rumour was highly popularised due to Apple setting up its own sapphire plant. Though it is expected that both models will come with the sapphire panel, it may be that only the 4.7 inch model will receive the new technology due to supply difficulties. As for the quality of the displays, many analysts and sceptics point towards the thought of Apple not releasing a Retina display ( which consists of approximately 300 pixels per inch) as observed when the iPad mini was announced. However most believe that the devices will definitely sport a Retina display and may even be HD or Full HD. Apple’s displays have always been noted for their colour accuracy and hence nothing less is expected from the new iPhone. The inclusion of the new A8 chip is definitely expected from Apple along with the Touch ID sensor. With a bigger form factor, a bigger battery is bound to be incoming and a recent leak shows just that. A bigger battery might just be what EVERY iPhone user really needs as the line has never sported batteries that can get through a full day of moderate to heavy use. Apple’s attention to optimisation and quality truly shows in the camera department as shown by the only 8 megapixel shooter found on its iPhone 5 and 5S. The fact that megapixel count does not really matter as much as lens quality after a certain point is now a widely accepted view and the iPhone’s camera is true evidence of that. Design leaks have shown a protruding ring around where the camera is housed, suggesting that the camera has increased in complexity both in terms of the optical mechanism in use as well as the sensor. Another rumour points to an early Apple patent where a similar sort of ring around the camera is seen to be used to attach accessories like an optical zoom lens. One thing is almost certain, the camera will deliver very good quality photos. Finally, with the latest Beats by Dr. dre acquisition, it is highly speculated that the new iPhone will have some sort of audio modification by Beats. If not, a higher level of integration with Beats Music is expected. Inside sources claim that the iPhone 6 will be unveiled at an event on the 9th of September, just a few days after Samsung’s Galaxy Note 4 event. As of the moment, it is unclear whether or not both speculated models will be unveiled at the same event as reports claim that production setbacks for the larger 5.5 inch model may lead to a delayed release sometime in the fall. It is also unclear whether or not the devices will be available for purchase immediately after announcement. The smartwatch market is a bit of a confusing place right now as the first Android Wear devices proved to be lacklustre with most enthusiasts patiently waiting for the release of the round faced Moto 360. For long we have heard about the oh so awesome iWatch that will revolutionise the smartwatch industry as the original iPhone and iPad did but sadly all we have seen till now are vague rumours with no concrete evidence leading to this mythical wearable. So for now it is safe to say that no watch like wearable will be seen at the event.